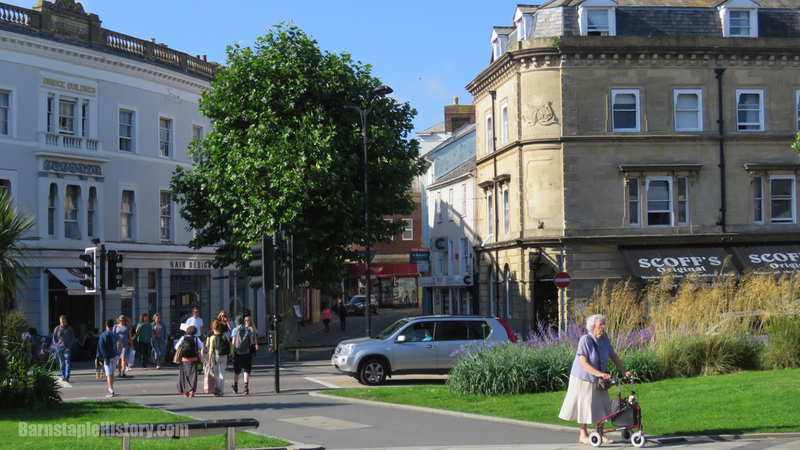 Barnstaple Square, Then and Now. I really like this one, it’s a cracking old image and works really well as a Before & After composite. 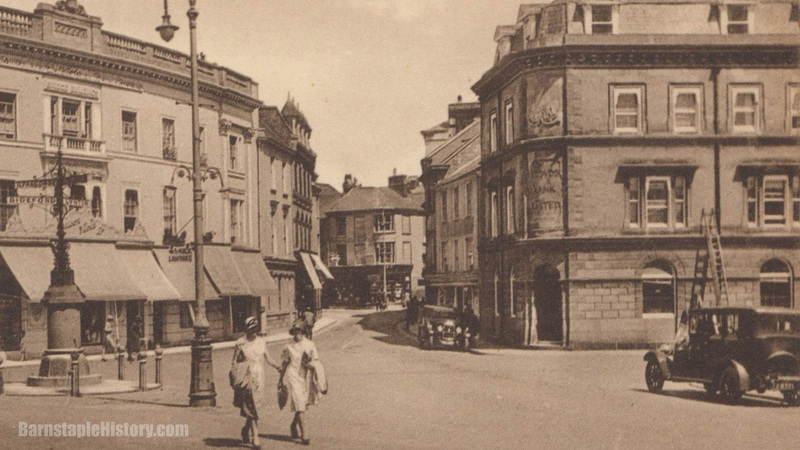 Looking from Barnstaple Square up Boutport Street, notice Youings old shopfront, before the building was redesigned in the early 1930s. JP.